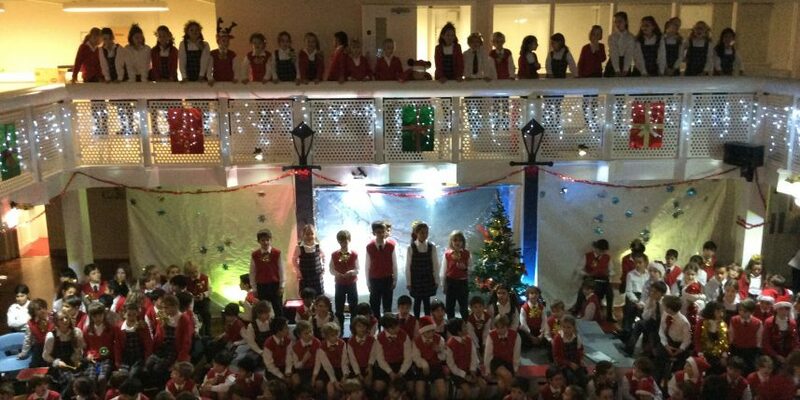 The hall was transformed into a Christmassy haven on Thursday evening, with the KS2/3 carol concert taking place. Whilst munching on mince pies and sipping on mulled wine we heard readings from each class and some traditional Christmas carols, with a firm favourite being ‘Christmas in New York’. Some brave children sang solos, we heard ‘The First Nowell’ on the guitar, ‘God Rest Ye Merry Gentlemen’ on the saxophone and ‘Little Donkey’ on the piano. Parents, staff and children left feeling festive and full of Christmas cheer. Thank you to Mr Pegden for all his hard work, the Friends of Chepstow House for decorating the hall and Rosamond Savournin who accompanied on the piano.